More reviews of Wasted today. The Guardian gives it 4 out of 5 stars. d not live fast or love hard, even if they did die young (through ill health). Those biographical facts have not stopped the makers of Wasted from reincarnating them as eyeliner-wearing metal-heads with plenty of Romantic spirit. 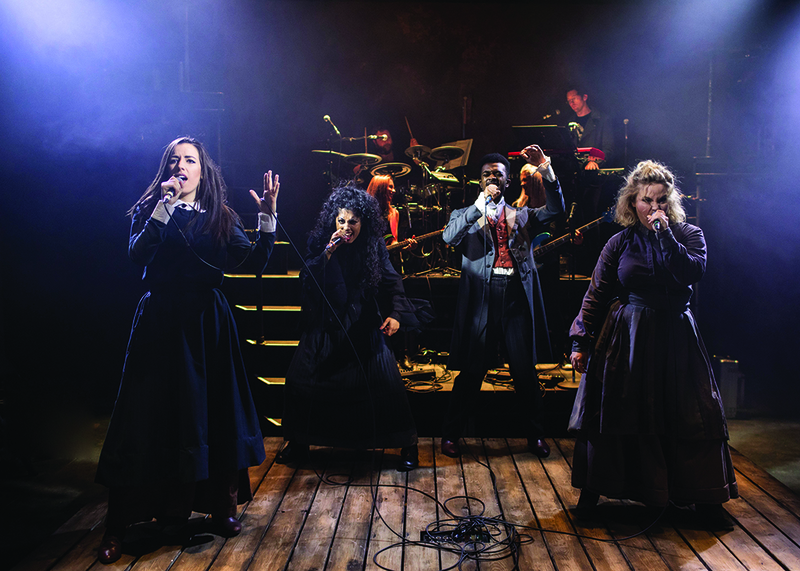 Dressed in 19th-century governess dresses, they headbang their life stories to a live rock band, and at times camp up their tragedies. Broadway World UK gives it 4 stars out of 5 too. 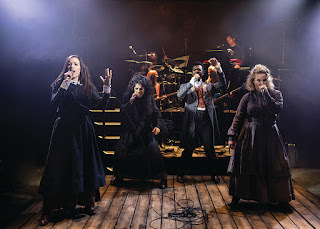 Barnes exudes confidence but isn't afraid to show her flaws when Charlotte becomes controlling; even though Morgan's Branwell means well, he is cocky and brash while he briefly stands in the way of his sisters' dreams; Anne's caring but tough attitude is conveyed by Lynch in heartfelt tones; and Athwal's bearing recalls Helena Bonham Carter's Bellatrix Lestrange. Music is at the centre of the scene throughout the show: every letter and prop is related to it, from sheet music to all the padded aluminium cases they use as props. As they enter, the actors plug in their microphones to the outlets in the middle of Libby Todd's wooden stage, a large square made out of wooden planks. The lighting design by Matt Daw and Sam Waddington is focused and gives the already energetic vibe the last spur of stamina. A live four-piece band plays at the back, removed from the action but part of it nonetheless. Power ballads are scattered around a tireless and catchy score. Time Out gives it 3 stars out of 5. Quite predictably, The Times gives it just one star out of 5. Aftonbladet (Sweden) features Wuthering Heights, deeming it the most explosive love story in world literature. Emily Brontë (1818–1847), målad av sin bror Patrick Branwell Brontë. Heathcliff är inte särskilt trevlig. Han är tjurig, våldsam och lynnig. Han skiter i konventioner, oftast på ren trots, och brister i både personlig hygien och vanligt hyfs. Hans mörka hår är långt och vildvuxet. Ändå ses Emily Brontës romanfigur som själva arketypen för den romantiska hjälten och Svindlande höjder fortsätter att toppa bästsäljarlistorna för klassiker – efter 170 år. Hur är det möjligt? Nerdist discusses American Horror Story: Apocalypse. Den of Geek! reviews Vox by Christina Dalcher. 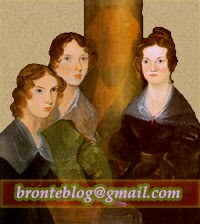 Página 12 (Argentina) says the credit given to Charlotte Brontë for creating the first plain heroine is misplaced.